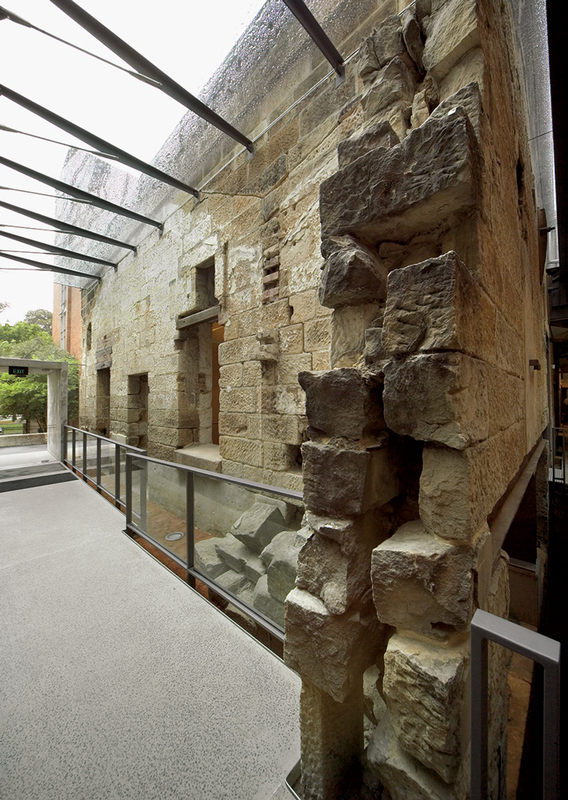 The Mint project is the transformation of one of Sydney’s oldest and most precious historical sites on Macquarie Street into a new, meaningful public place formed and characterised as much by the carefully inserted contemporary buildings as the conserved and adapted heritage structures. 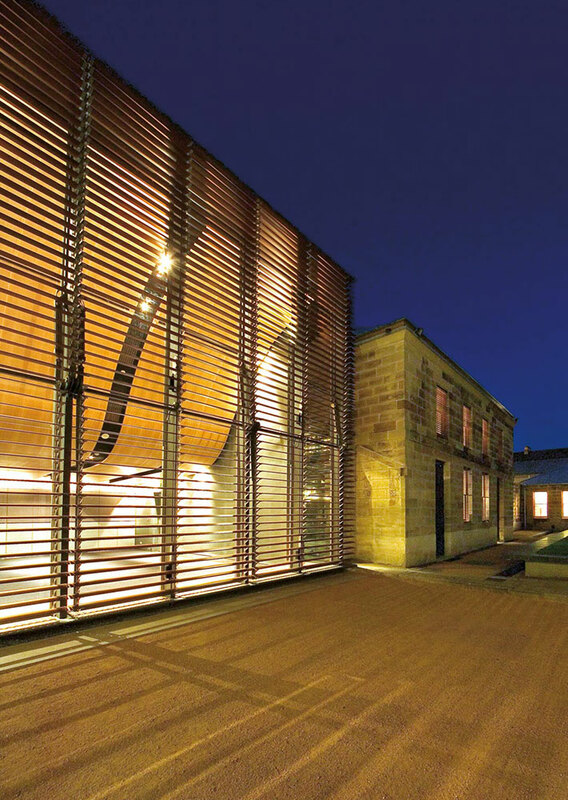 The vacant and almost ruinous Mint Coining Factory and associated buildings have been transformed into the campus-like headquarters of the Sydney Living Museums. 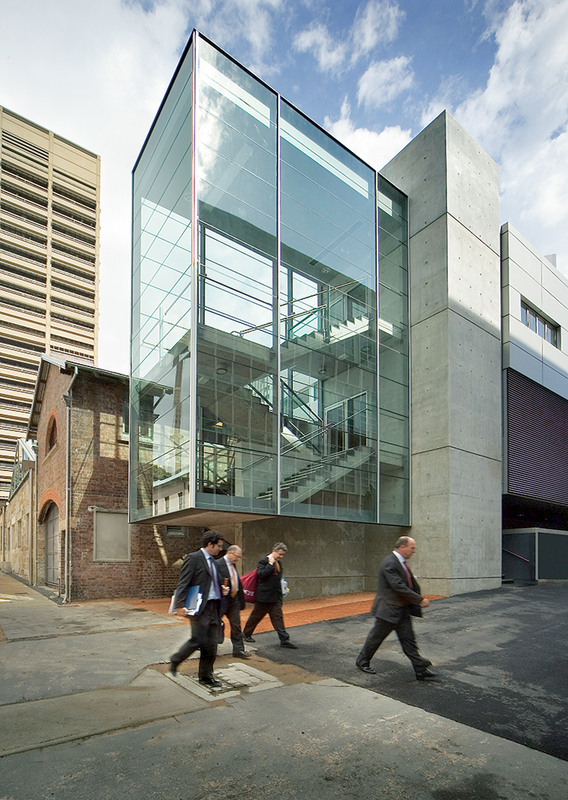 Contemporary architectural forms have been carefully inserted to accommodate a major public auditorium, exhibition areas, foyer and bar, while existing buildings have been adaptively reused to create a significant new resource centre for the public, and new work environments for the staff. 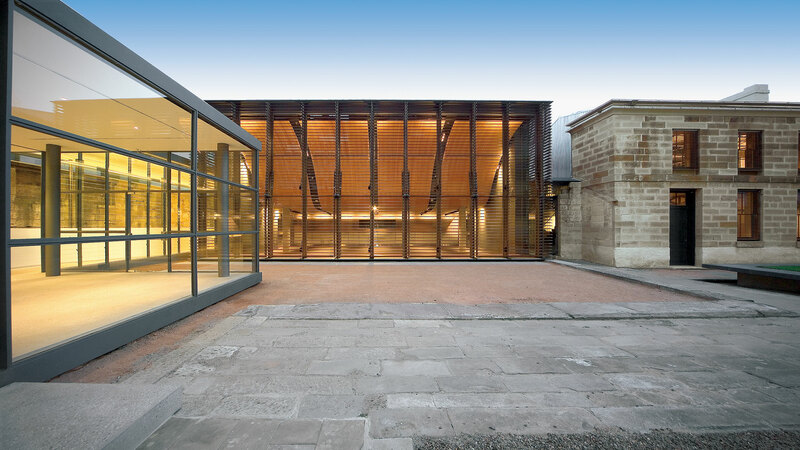 These clearly defined public rooms and facilities are gathered around a central courtyard, which is given new life and form as a significant public space of the city. While the contemporary architectural forms have been carefully designed to form direct and clear relationships with the existing buildings in terms of scale and proportion, they are uncompromisingly new.  They have sought to create a new architectural layer on the site, designed in the innovative and “forward-looking” spirit that underpinned the original 1850s constructions. 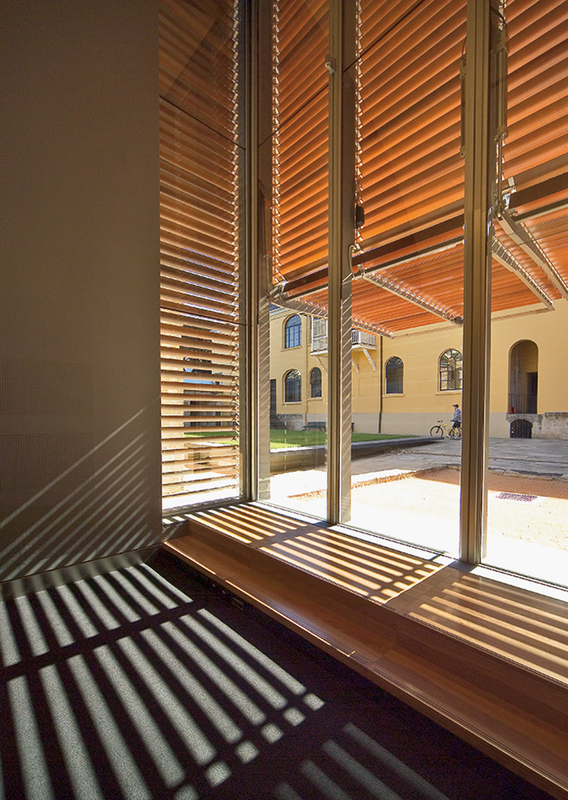 This layered approach of placing new and old in a bold transforming relationship is apparent in the general organisation of the project, and in the design of the new courtyard.  The strict symmetry of Trickett’s original plan, with its central pavilion and identical wings, has been transformed into an asymmetrical axis about a pair of related pavilions of opposite/dialectical character, new and old, light and heavy, stone and glass. The outcome is a rich and complex assembly of form and spaces through which the layers and events of the site can be read and interpreted. 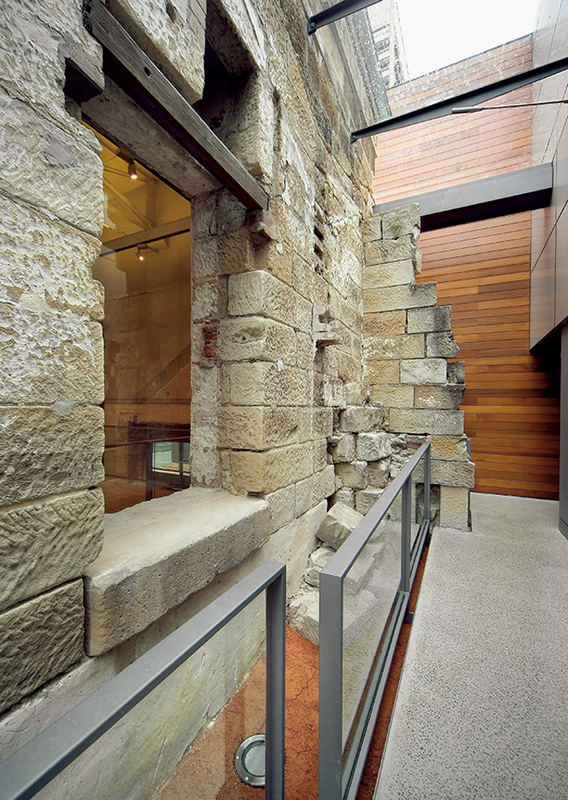 The new transparent theatrette forms a partner to the historic stone Superintendent’s office. 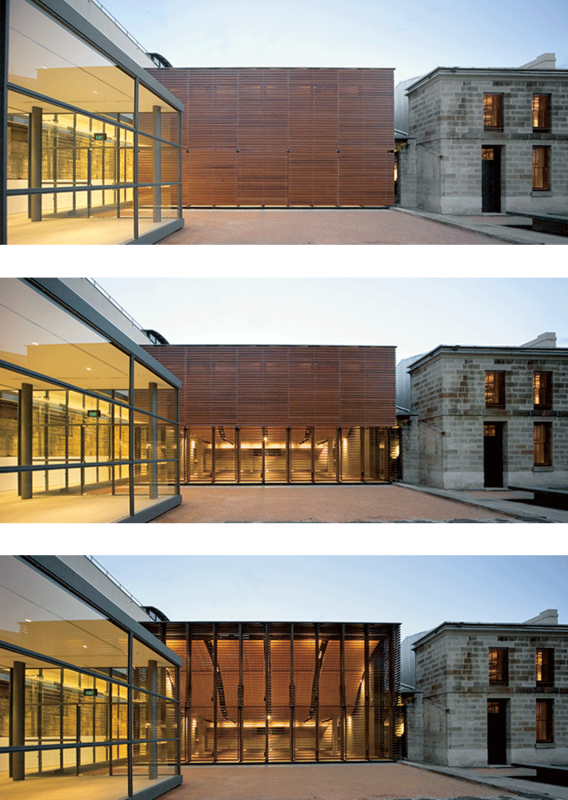 The automated timber louvre panel-lift door of the theatrette can vary in position to vary opacity.